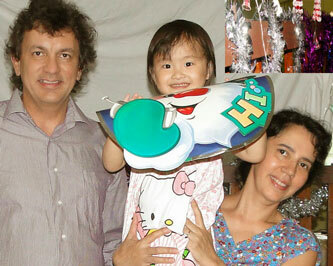 We send you many Greetings from Indonesia. 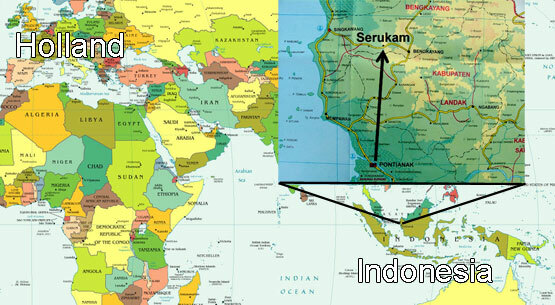 On the 17th of December we arrived in Indonesia again. In Jakarta on Java we first delivered the documents we picked up in Holland and Chile to the office which arranges the adoption. Then we made appointments for the next steps in the adoption process (which can last till 2016 but we hope it will be done sooner). The next day we went to the island of Borneo where Sara is with the family who took care of her in their home near the Bethesda Mission Hospital. The Photo at the top of the page is a picture of the dam where we were removing the pondweed earlier this year. We are now finally reunited with Sara. She recognized us very well after not seeing us for 2 months. She is very happy to be with us again and and we are happy and thankful all went well and to have her with us again. In the Mission Hospital they have a lot of urgent repairs and renovations waiting for me. The most important is the water supply for the Hospital and for all the 250 people living around it. It seems that there is a lot of pondweed growing in the dam and it clogs the water filters. Because of that there is less water flowing through the pipelines. It will be a challenge to find a permanent environment friendly solution for that. A picture of Sara and us now we are back together. 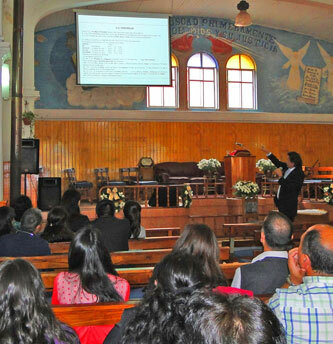 Daniel and Jeny are speaking in churches in Chili. 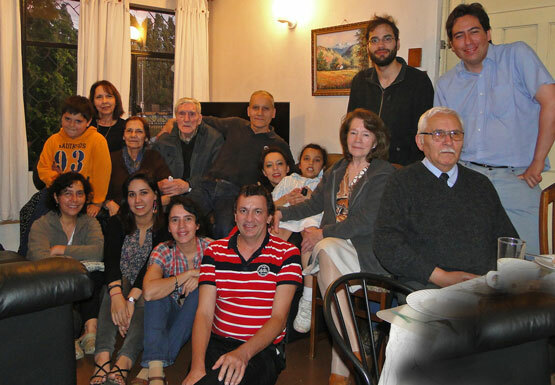 In the picture we are with the whole family of Jeny in Concepcion, Chile in November. and for www.Stichting-Helping-Hands.nl for the children in Ukraine. The Newsletters are on the website. For both foundations I make the newsletters and websites. 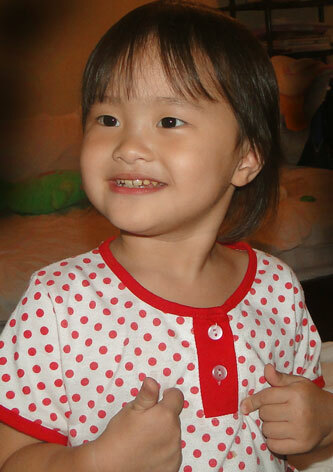 This year 2014 we have spent a lot of time, energy and money for the adoption process of Sara. We feel strongly that God is leading us and thanks to all your encouragements we know we have to continue. We would like to pay off all our debts by the first of January so we can continue in 2015 full of new hope. 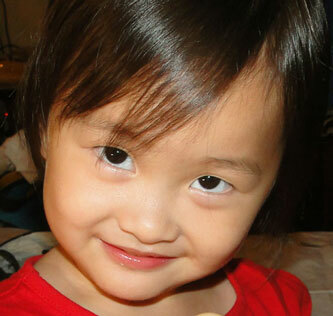 In 2014 we have spent 3000 Euro more than we could pay for, for the adoption process of Sara. 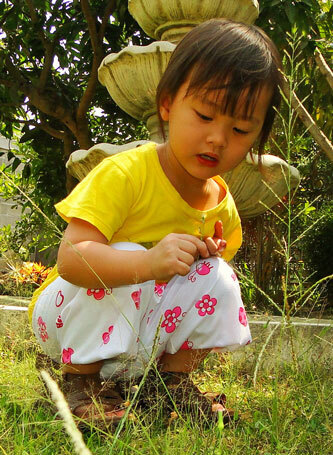 We trust that God will provide all we need to be able to work in Missions and to be able to take care of Sara and adopt her. Now all 3 of us live for 100% by Faith in Missions. Me Daniel, I have also grown up all my childhood this way while my parents were missionaries since more than 50 years ago.